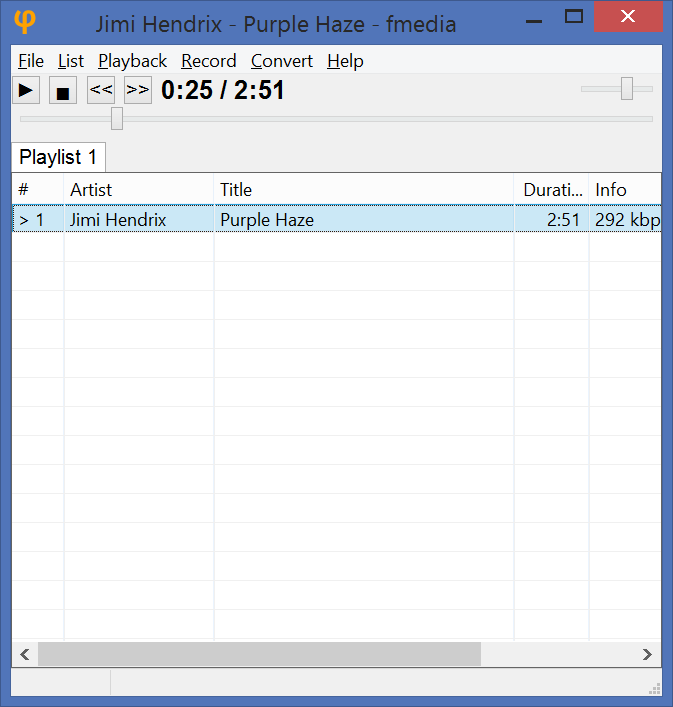 fmedia is a fast asynchronous media player, recorder, and converter. It provides smooth playback and recording even if devices are very slow. It's highly customizable and can be easily extended with additional plugins. Its low CPU & memory consumption saves energy when running on a notebook's battery. 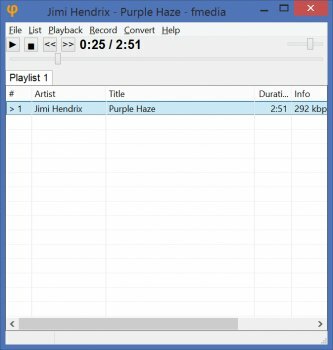 Play or convert audio files, record new audio tracks from microphone, save songs from Internet radio, and much more. fmedia can decode: .mp3, .ogg (Vorbis, Opus), .opus, .m4a/.mp4 (AAC, ALAC, MPEG), .mka/.mkv (AAC, ALAC, MPEG, Vorbis), .avi (AAC, MPEG), .aac, .mpc, .flac, .ape, .wv, .wav. fmedia can encode into: .mp3, .ogg, .opus, .m4a (AAC), .flac, .wav.